The free, printable release of U.C.C. financing statement should be filled out by borrowers concerning property and secured parties. 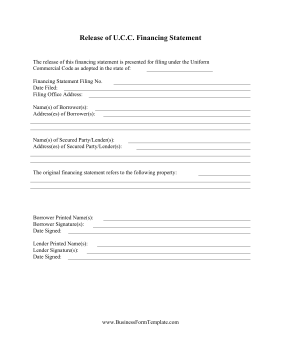 The lender and borrower can fill it out and sign together.